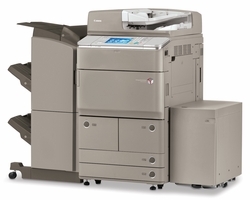 Millennium Business Systems' copiers are refurbished with the most current parts to ensure that the manufacturer's quality is maintained. Every product is guaranteed to look and perform like new. Remanufacturing or refurbishing extends the life-cycle of the product and reduces the environmental impact associated with many electronic devices. Our products are designated "Factory Produced Quality" since they have been disassembled to a predetermined standard by the original equipment manufacturer and remanufactured to original status with new OEM parts. The refurbished models contain new, reconditioned and/or recovered parts that meet the manufacturer's new product performance and reliability specifications. All of our refurbished machines come with a 90-day parts and 30-day on-site labor warranty. The on-site 30-day labor warranty is only good in Houston, Dallas-Fort Worth, and Austin (we do not provide warranty support for products outside of our service area). Our support team can provide you with invaluable experience in setting up this machine should you require some assistance. Call us at (281) 855-8003 or email us at service@mymbs.net. 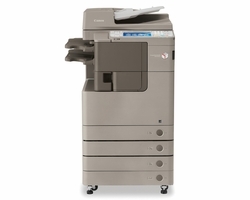 We offer a large selection of new, refurbished & used commercial copiers of various brands. Please contact us to request additional product information and pricing including items that are not currently listed. 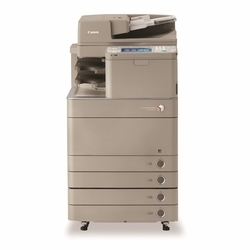 If we are unable to provide the particular brand or model that you are shopping for, we will happily refer you to other local and/or national copier resellers.